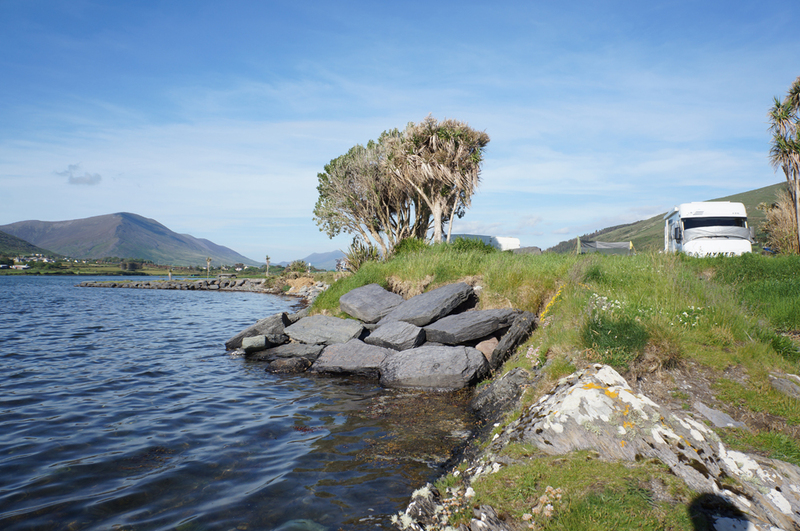 Ring of Kerry Coast, Cahirciveen, Co Kerry, . 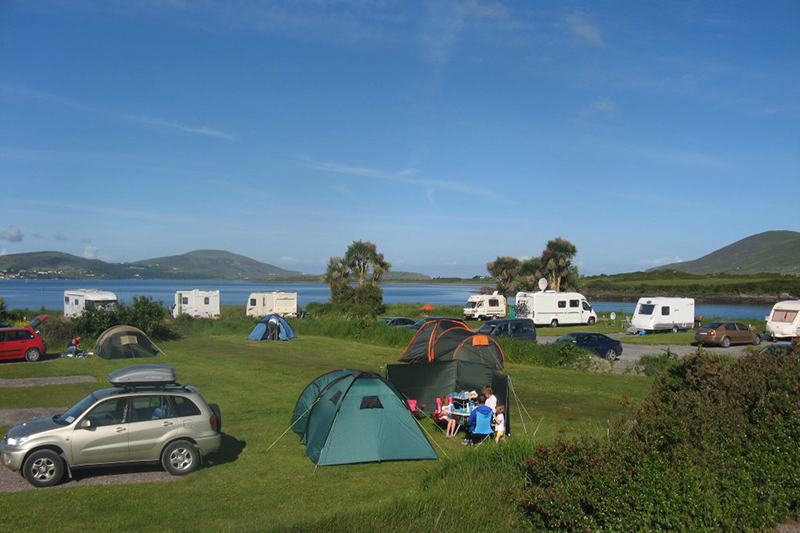 Mannix Point Camping & Caravan Park, Ring of Kerry Coast, Cahirciveen, Co Kerry, . 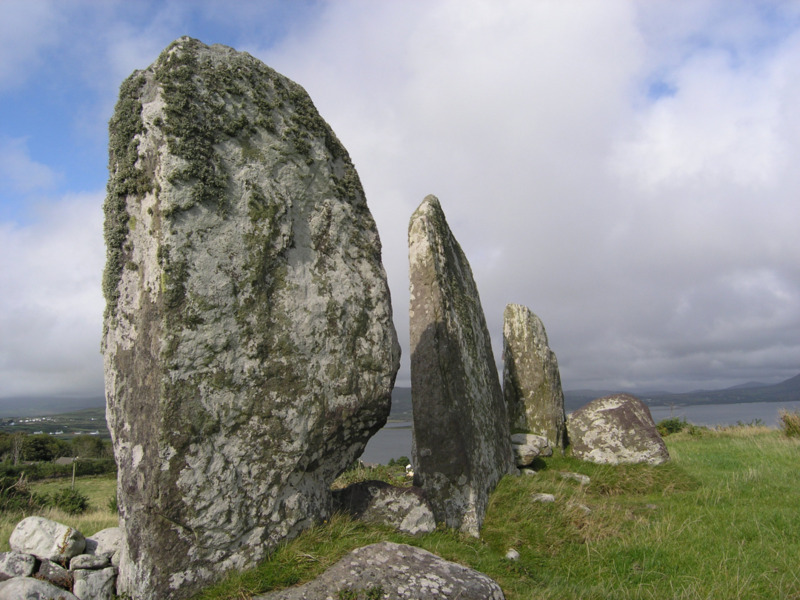 Set on the Gulf Stream coast of The Ring of Kerry, on The Wild Atlantic Way, with coastal views. Situated at the edge of the water and facing across the bay to beautiful and historic islands, Mannix Point has spectacular views in every direction. 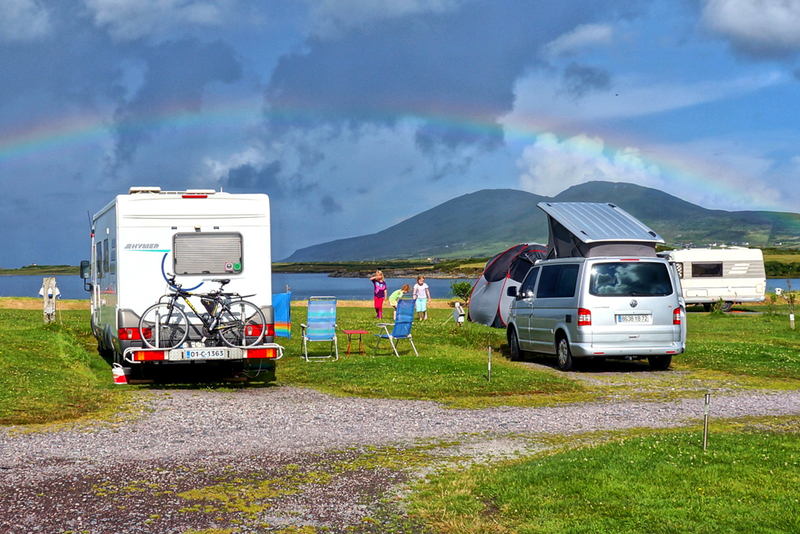 The park is located 300 metres off the main road at the western end of the pleasant town of Cahersiveen (Cahirciveen), just a 15-minute walk to shops, pubs, restaurants, galleries and entertainment, including traditional Irish music and dancing. There are 42 pitches, most with 10amp electric hook-up. 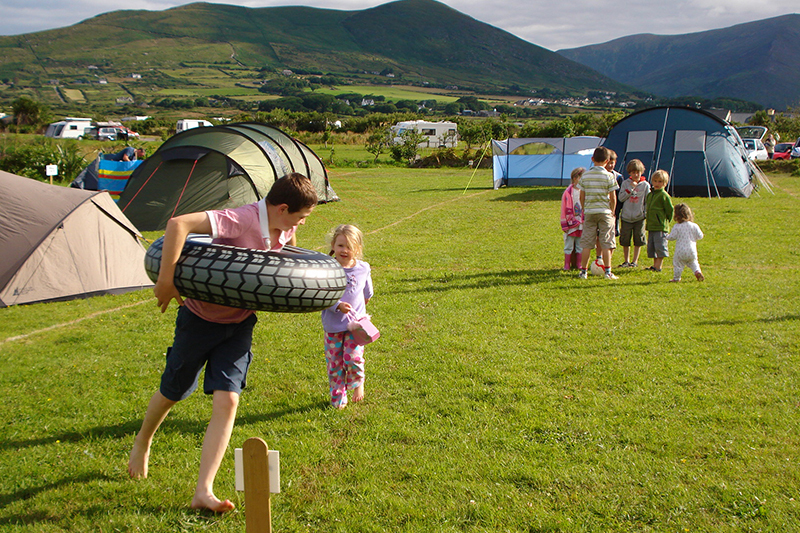 In the interest of child safety some of the camping areas are car-free but there are also pitches where you can park next to your tent. The washrooms are high quality and the laundry and facilities for dishwashing are newly equipped. There is no need to bring cooking equipment or crockery, all is supplied in the camper’s kitchen. There are also indoor and outdoor dining facilities, the outdoor area on a veranda fronted by a beautiful garden. 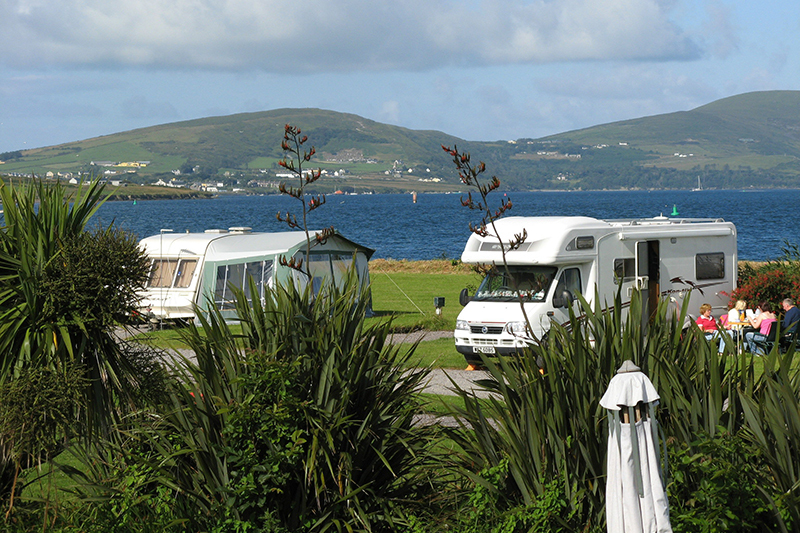 Mannix Point caters for touring motorhomes and caravans, family tents and small tents with or without electricity. It is advisable to book early for a waterside pitch. Mannix Point is a mecca for musicians from near and far. Impromptu music sessions are a special feature of the park and on cooler evenings they play in the campers’ sitting room, warmed by a turf fire. Music sessions take place on the veranda in good weather. Everyone is welcome to join in whether you are highly talented and experienced or just beginning, and a piano, guitars, mandolins, percussion and tin whistles are supplied. 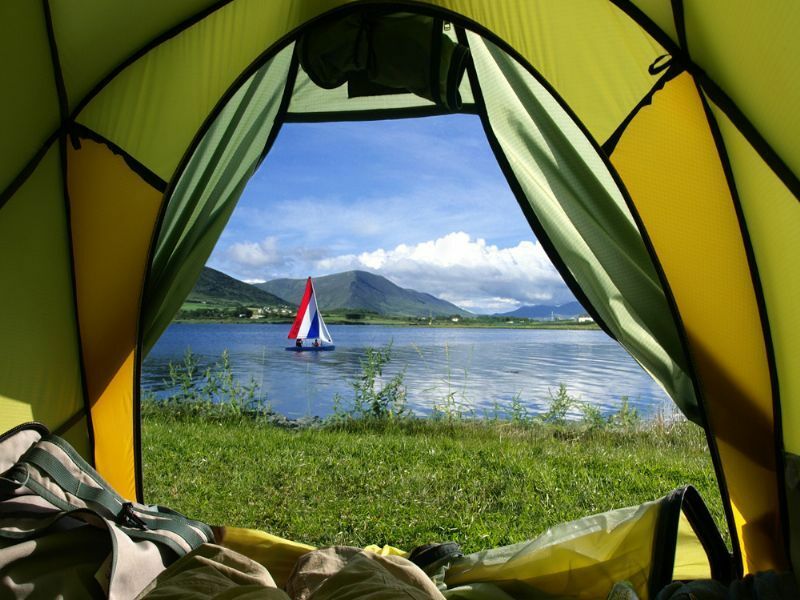 Dogs are welcome but as in all Irish campsites, in the interest of hygiene and safety they must be kept on leads on the park. They can be exercised on the stone strand adjoining the park. The location offers plenty of outdoor leisure activities, including watersports, archaeological sites, hill, mountain and foreshore walks, sub-tropical gardens, fishing, blue-flag beaches, horse riding, bird watching, and spectacular cycle and car tours, all in clean Atlantic air. 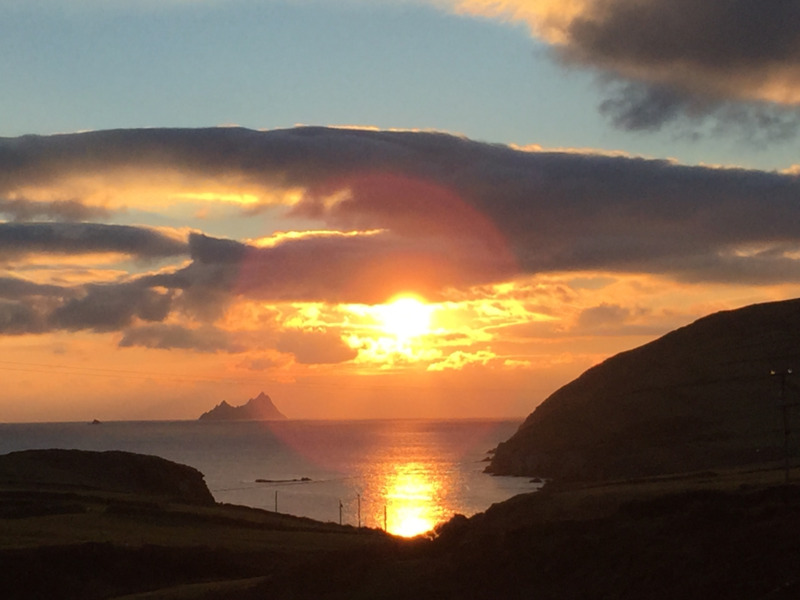 There are 12 beaches within 15km of the park and the site is within easy reach of the departure port for boats to the Skelligs (a Unesco World Heritage Site). Pre-booking is essential for The Cahirciveen Festival of Music and the Arts, held every year on the August Irish Bank Holiday weekend (when three nights minimum is required). The campsite offers free WiFi.